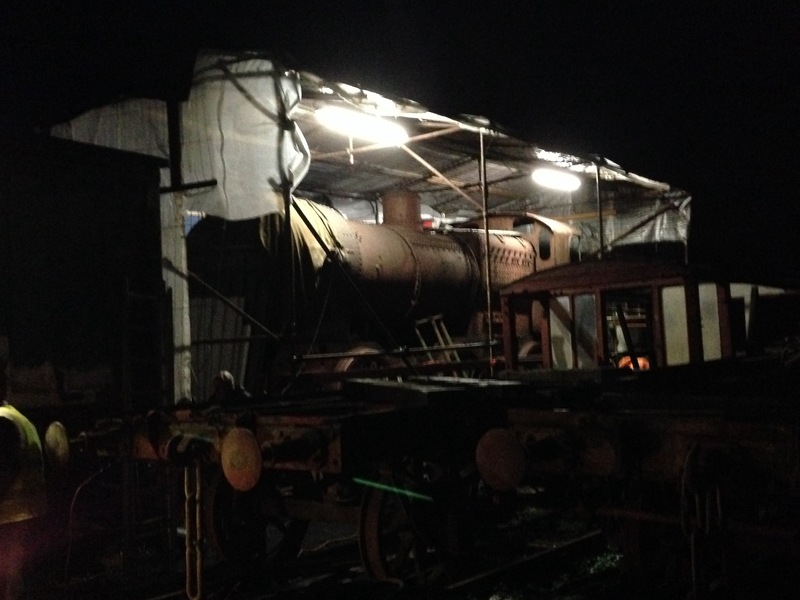 Latest News | The London Midland Society Webpage | The London Midland Society is restoring 4F steam locomotive No. 4123 at the Avon Valley Railway in Bristol, UK. In preparation for the Avon Valley Railway‘s ‘London Transport’ gala, we decided to re-assemble 4123’s cab to act as a focal point for our small sales stand. 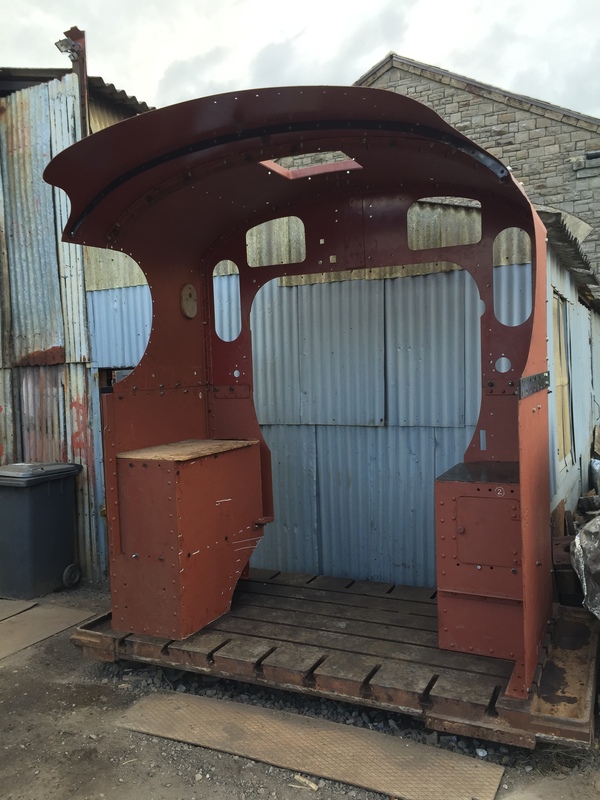 The cab is actually ‘new’, having been built many years ago when the loco was based at Ropley on the Mid Hants Railway, but had until very recently been sat on the loco out exposed to the elements, and was in need of some TLC. 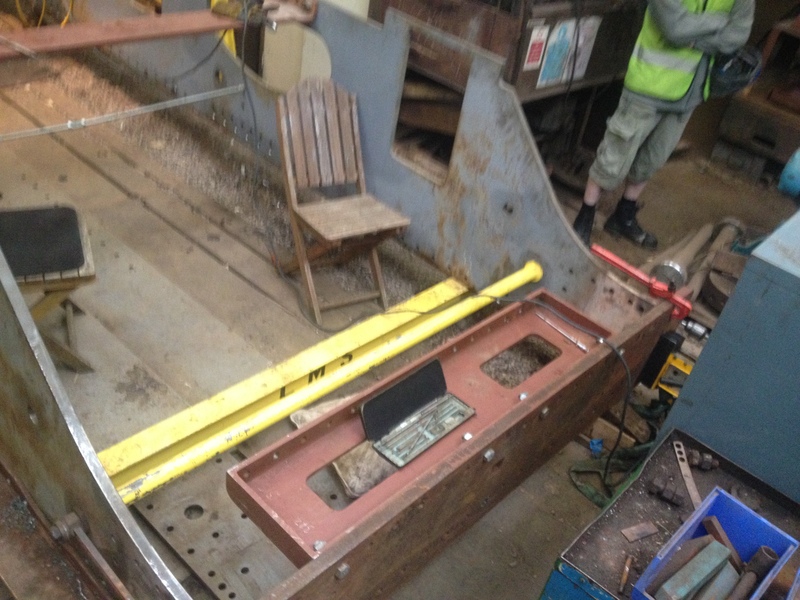 At some point, the main cab structure will need to be riveted together in its final configuration, ready to put back on the loco when the time comes. The cab in the process of being reassembled. 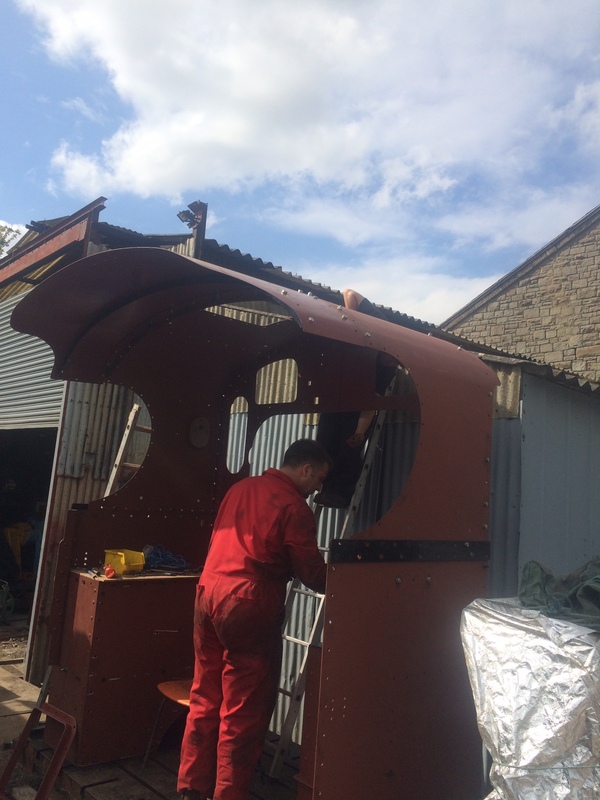 Assembling the cab outside our workshop. A fully assembled cab sits on a baseplate outside our workshop. 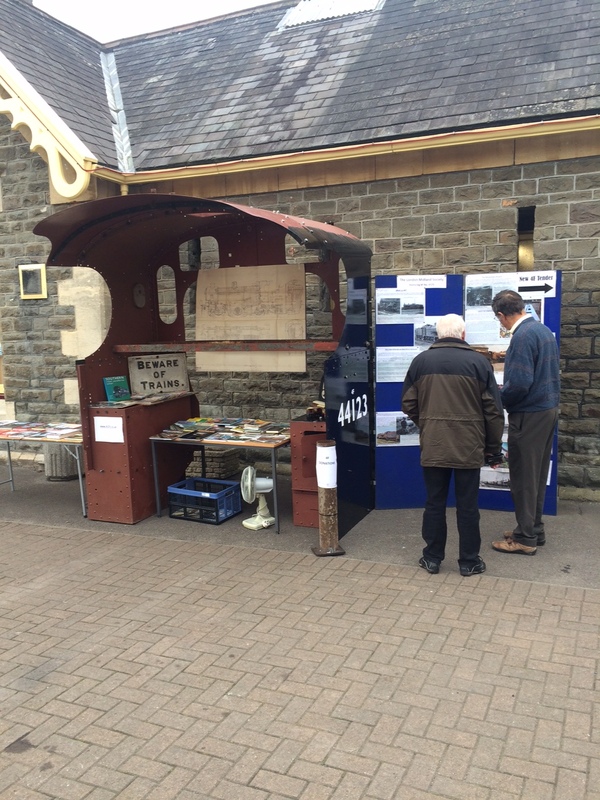 The cab as a focal point of our small sales stand. 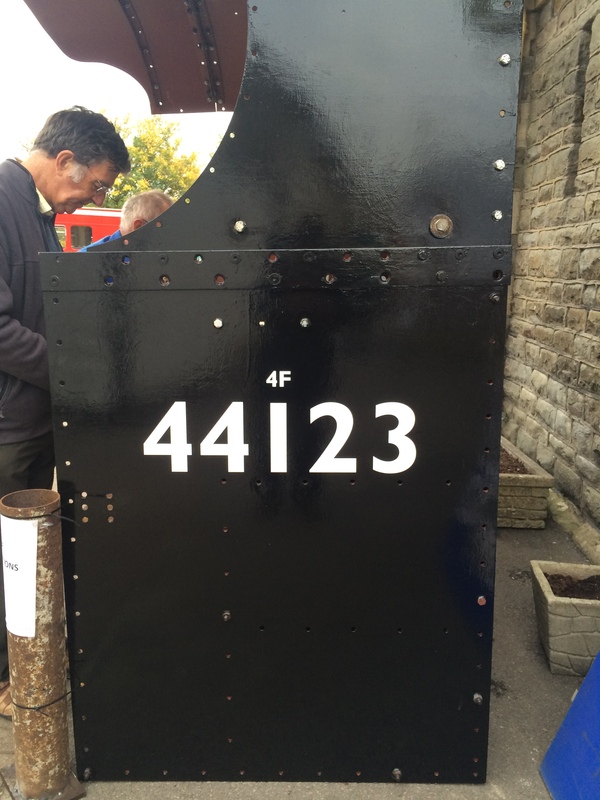 One side of the cab has been painted in black, with 44123 applied to give an impression of what the loco will look like when finished. There was a distinguished visitor during the gala – Sir Peter Hendy – Chairman of Network Rail, and former commissioner of Transport for London. 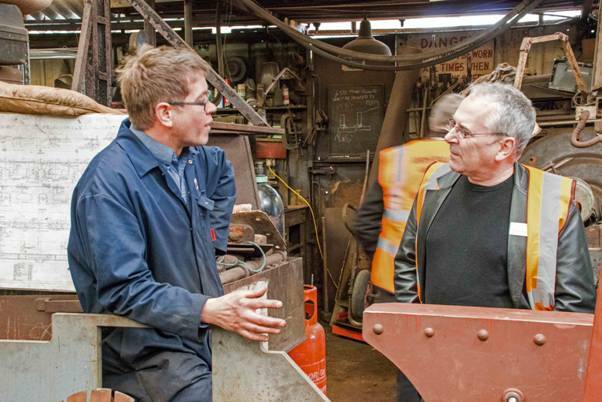 We took the opportunity to show him around 4123 and what we are up to in the restoration project. Sir Peter Hendy views 4123’s driving wheel. Photo credit – Robin Mitchell. 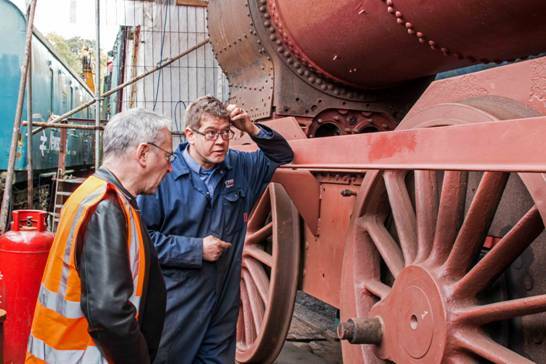 Carl shows the new tender frames to Sir Peter Hendy. Photo credit – Robin Mitchell. It is with the deepest regret that we have to announce the death of one of our stalwart members, Mr Michael Vout, known to many as “MLV”, who passed away in the early hours of this morning, Friday 27th March 2015, at Bath’s Royal United Hospital, following a severe stroke which he suffered in mid-February this year. 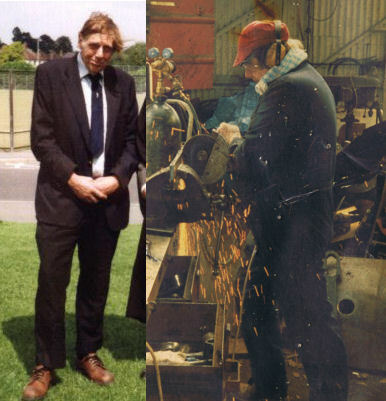 Michael made an amazing contribution to preservation in general, and in particular to the restoration of 4123 and his own ‘Battle of Britain’ class locomotive no. 34058 ‘Sir Frederick Pile’. He had led the restoration efforts on both these projects for many years since the mid-80s, and during this time he personally constructed many new components to the highest of standards, and all employing traditional engineering methods and practices. Michael was a unique character and touched the lives of many people with his sense of humour, willingness to assist on noble causes, and his passionate desire to see his beloved ‘Heavy Engineering’ live on through the development of youngsters and the progression of the preservation scene in general. Those of us who knew him well were deeply saddened by the seriousness of his condition in recent weeks which had cruelly robbed a highly intelligent and articulate man of the majority of his physical abilities and capacity to communicate. However, it is safe to say that he will live on in both the work he did on the locomotives, and in our minds which are full of his amusing stories & anecdotes, a lamentably small fraction of his engineering knowledge, and his unique outlook on life. Hopefully the photos and the captions do the talking. 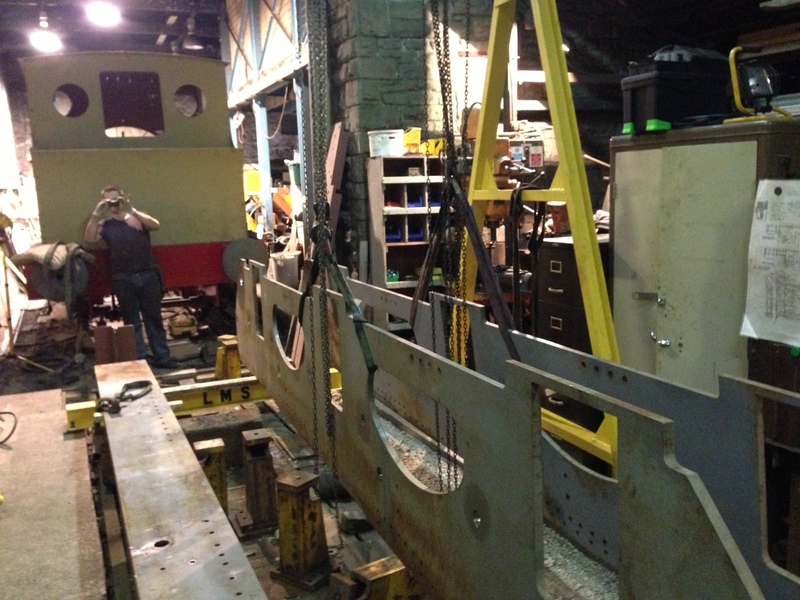 If you’d like to see more photos of how this is coming along, have a look at our Flikr page. 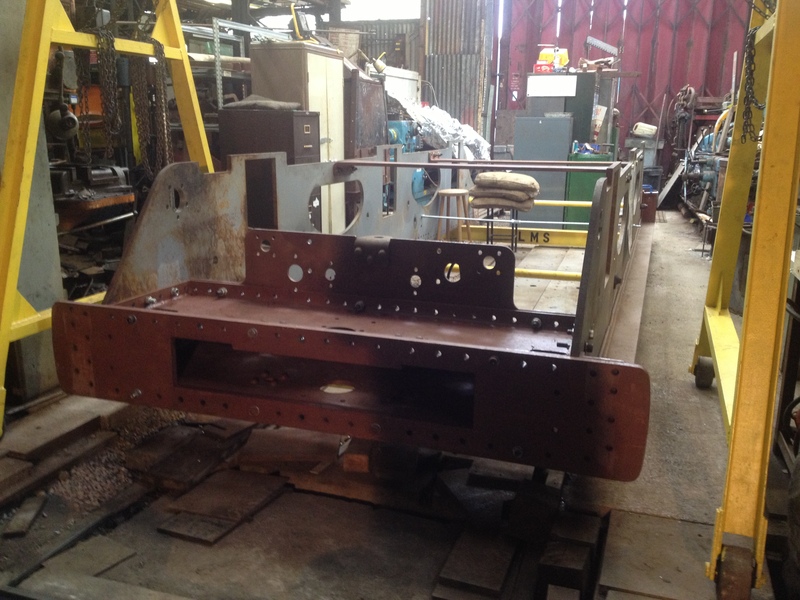 General view of the new tender chassis which has been constructed, and is now substantially complete and waiting to be rivetted. Another view of the new chassis at the front looking towards the rear. 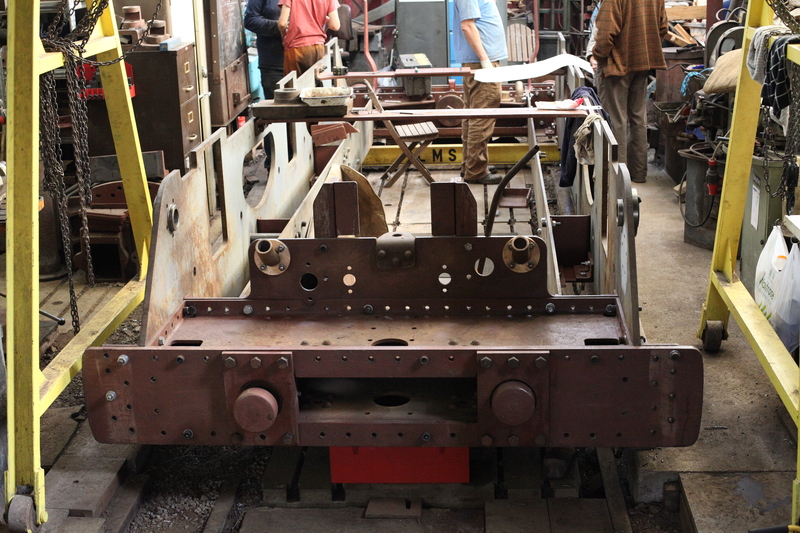 The rear of the new chassis showing the dragbox, coupling hook, buffers and guard irons. 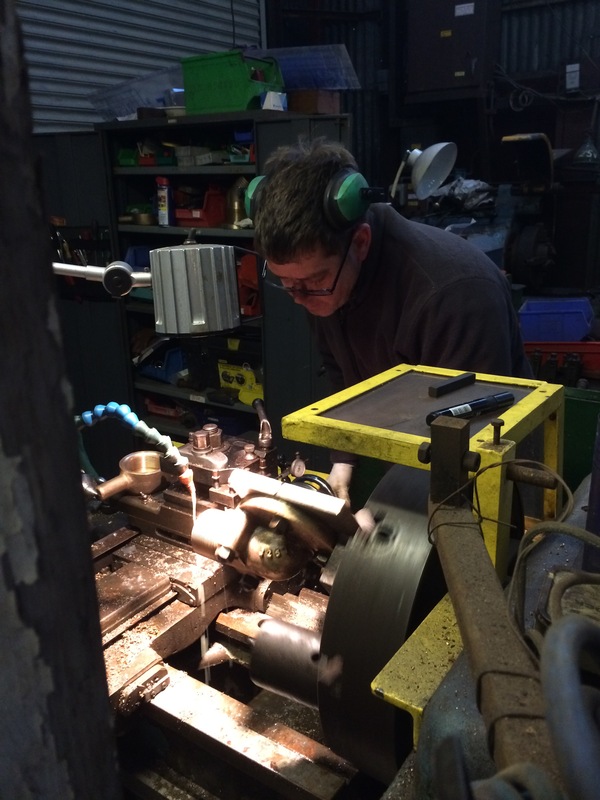 One of the new castings for the tender water feed elbows is machined on the lathe. Here it is having the 11 TPI screw thread cut. 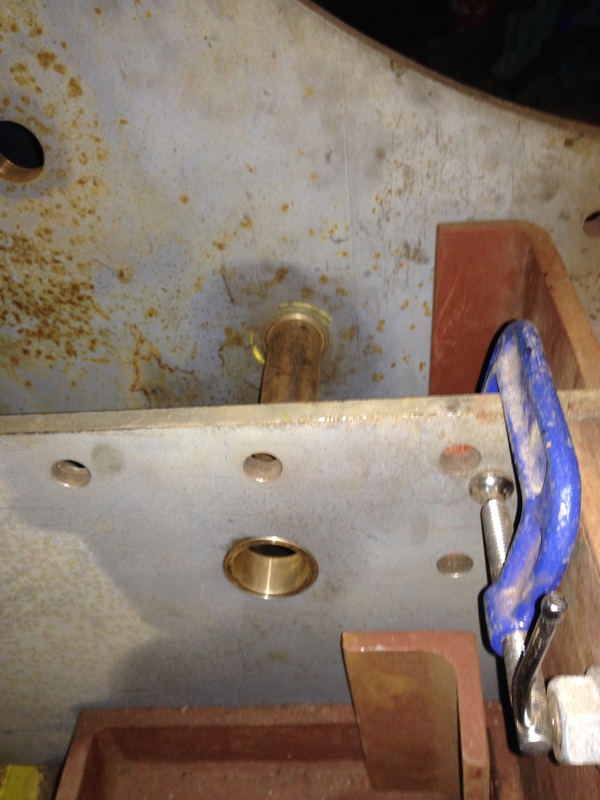 This is the ‘dome’ for the water scoop filler pipe, which sits at the back of the tender, and is a distinctive feature of those tenders that were fitted with water scoops (i.e. all the 4Fs). This is a combination of new metal (the lower barrel and angle) with a re-used original top section which was repairable, and which would have been very difficult/expensive to replace with a new item. Here is the new tender tank water filler pipe and lid. Later LMS tenders had a hinged lid, but 4123 always had a ‘loose’ lid which was attached to the pipe with a chain (to stop it getting lost), so this is what we’ve replicated. We didn’t have an original to copy, so the profile for this had to be scaled from a drawing to get the correct radius and height, etc. This was ‘metal- spun’ for us by Purdies of Bradford. This pile of bits are components of the tender tank which are fitted inside and outside of the ‘well’ on the bottom of the tank. 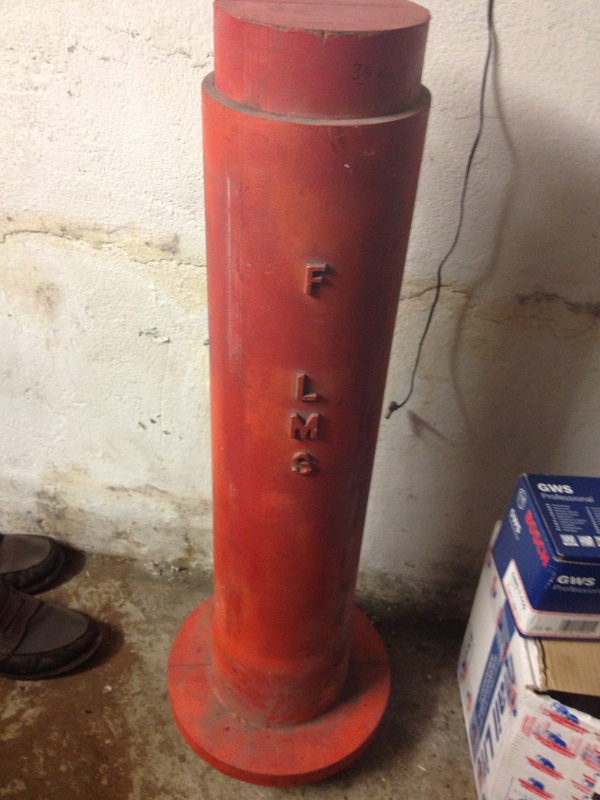 These have now been welded into position into the well. 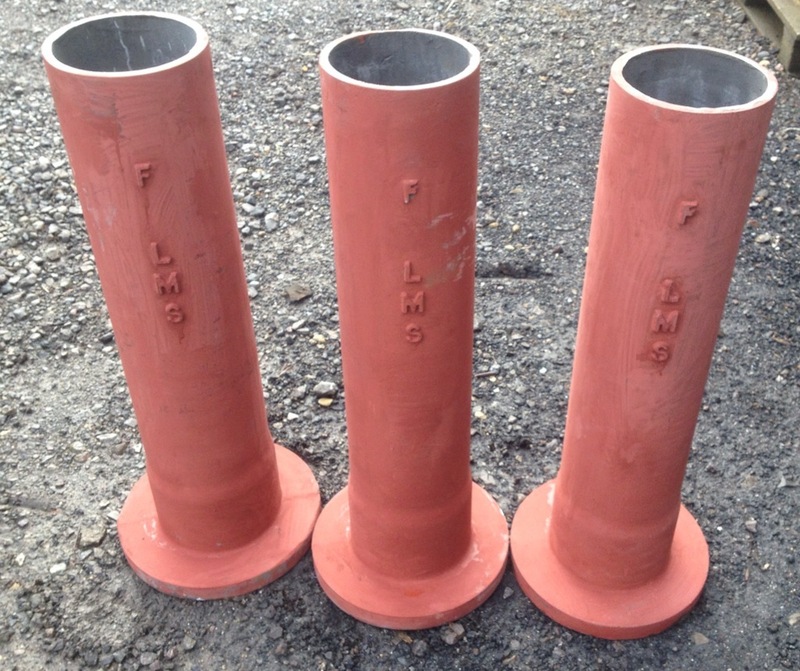 The two new gunmetal castings for the water feed elbows can also been seen – having been fully machined – and these are now ready to fit to the tank when the time comes. 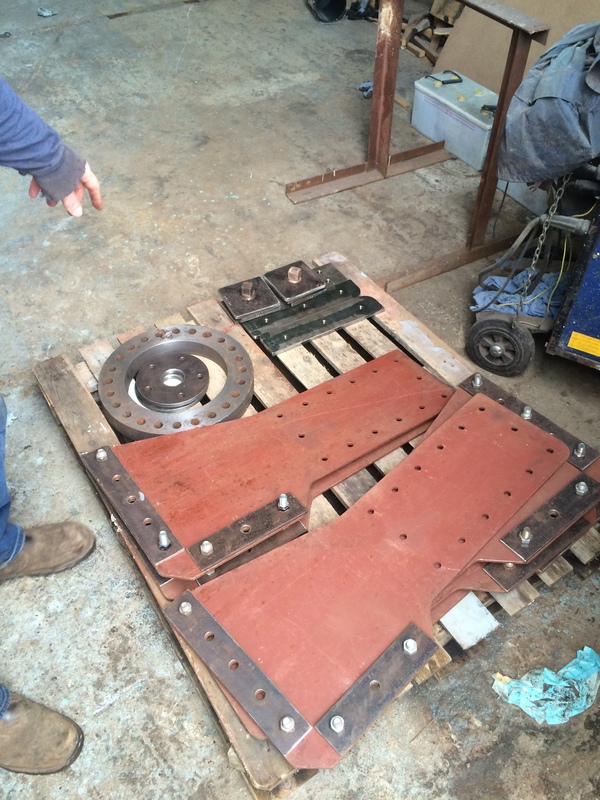 Here are some more tender tank internal components waiting to be installed. The red plates are vertical stiffeners which form part of the main structure of the tank, and to which the main internal cross-baffles are attached. Here is a view on the newly fabricated tender tank ‘well’. This fits underneath the main body of the tank, between the inner frames of the chassis, and provides a useful additional ~500 gallons of water capacity. 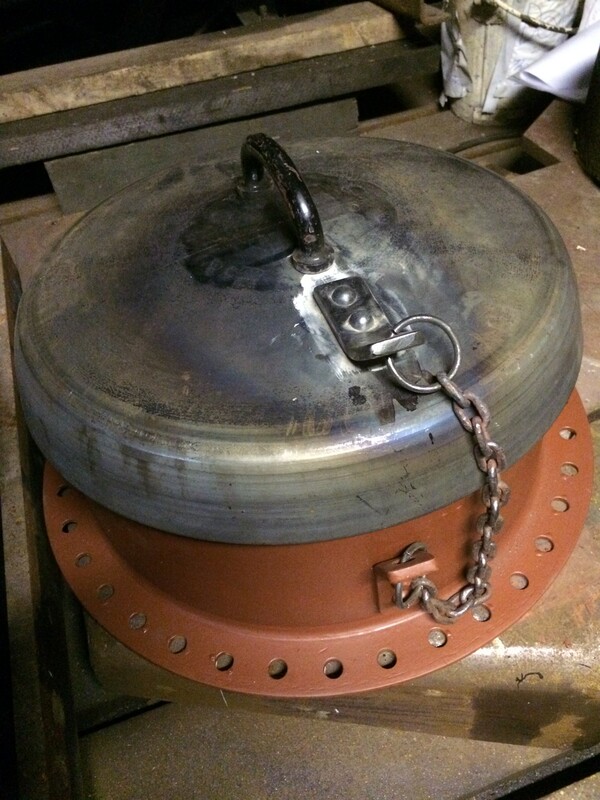 We have made this from one piece of plate folded to the correct shape, and with end plates welded in. Doing it this way has removed around 300 rivets from the tank. 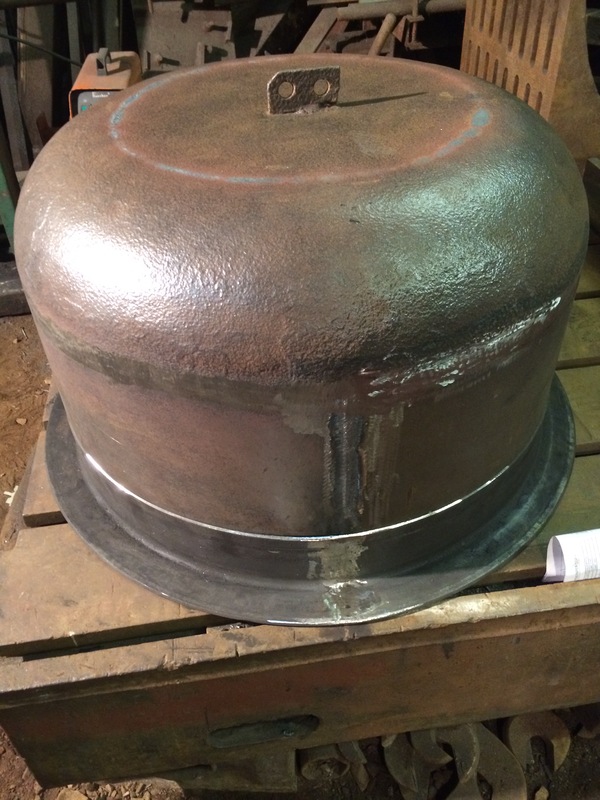 A close-up of the end plate of the well after welding was completed and ground flush. 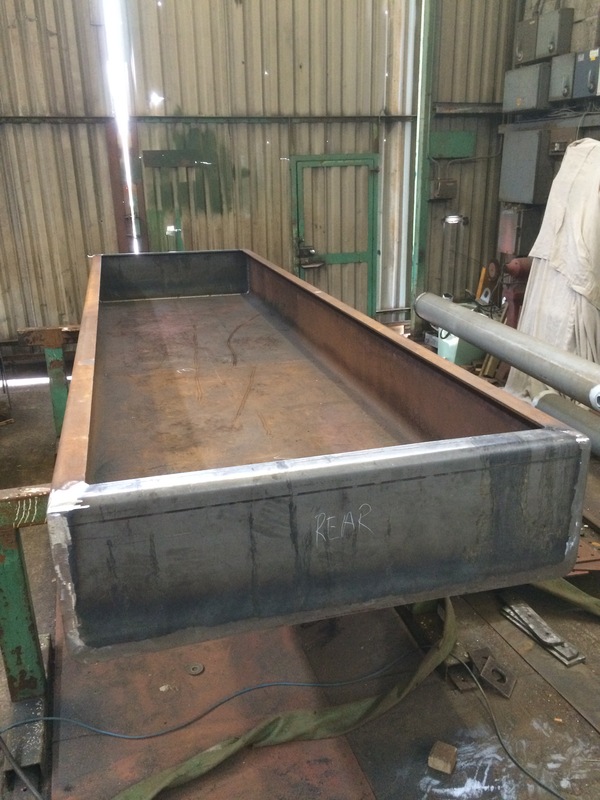 Originally this would have been a riveted plate, but welding is easier and more cost effective, and will never be seen once the tank is installed on the frames. 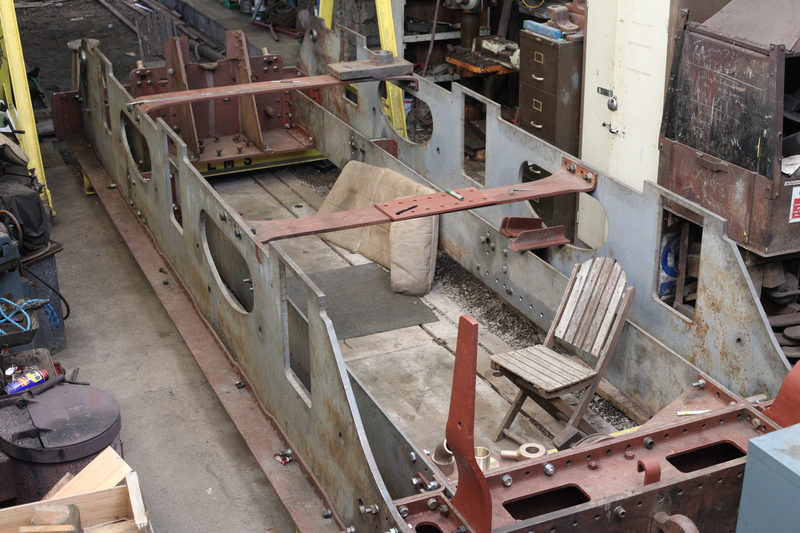 Here’s a view on the underside of the tender well showing the various attachments which have now been welded on. 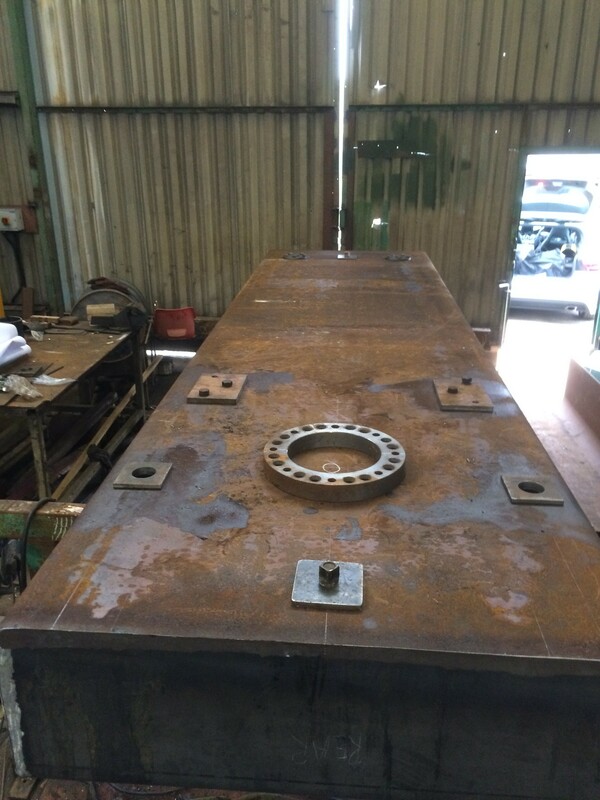 Don’t let the rusty finish worry you – this will be grit blasted once the tank fabrication is completed, and then coated with a decent paint system, so it will hopefully last for many years. We have just completed a very sucessful working weekend which saw progress on quite a few fronts. A brief summary is below. Early on Saturday, we took delivery of the newly cast tender tank water vent pipes. 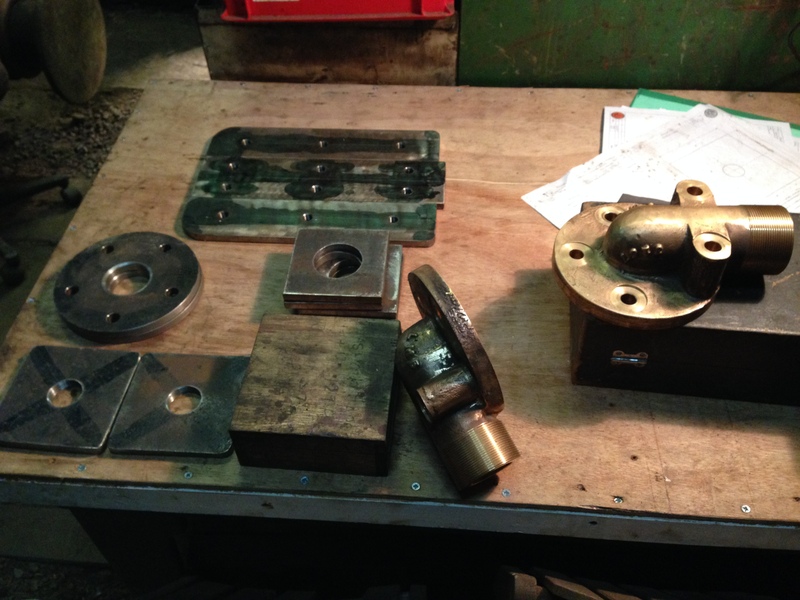 And here are the finished castings. 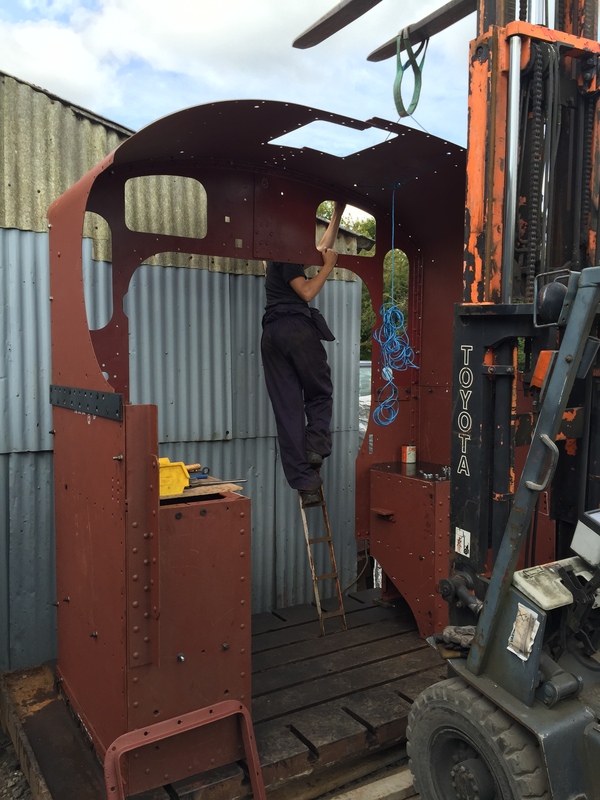 New(ish) volunteer George undertook the installation of the second inner frame for the tender, almost entirely on his own, and this is now ready for final setting up. The second inner frame is shown installed (on the RHS of this picture). 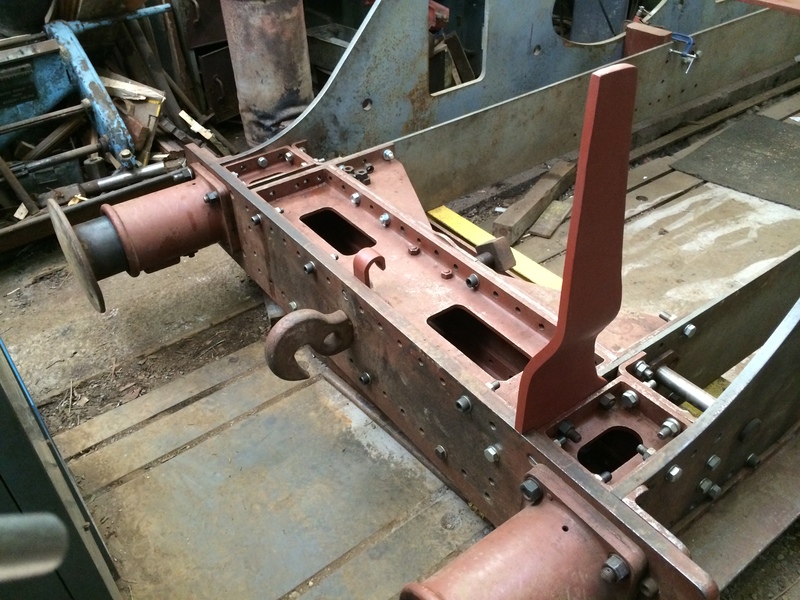 The first of the tender brake gear bushes have been made and fitted into the frames, which allows us to accurately line up the inner and outer frame plates before we start marking and drilling all the matching rivet holes. The new gunmetal bushes which will hold the brake pins are shown after being press fitted into the frames. The inner frame is nearest the camera with the outer frame behind. 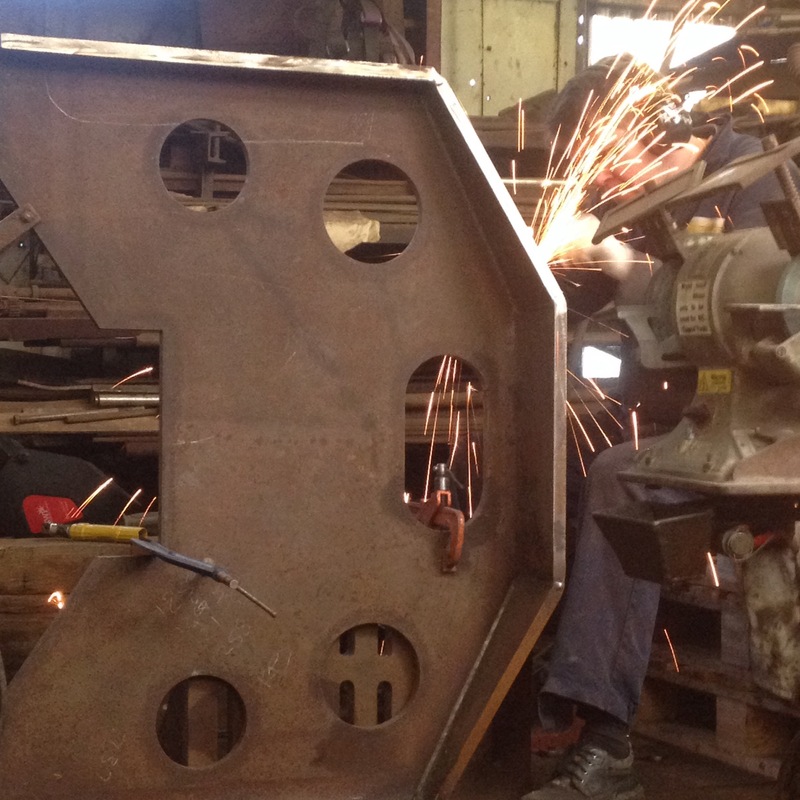 Over in the fabrication shop, fettling work contiuned on the new boiler support plate. 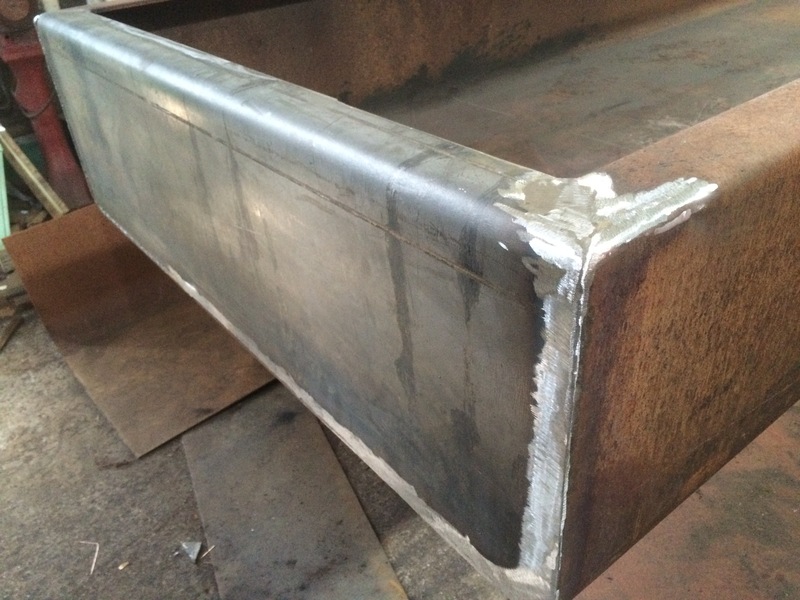 This is a substantial lump of steel (it is 7/8″ thick) and requires a team effort to manipulate it into the various positions required for welding and grinding work. 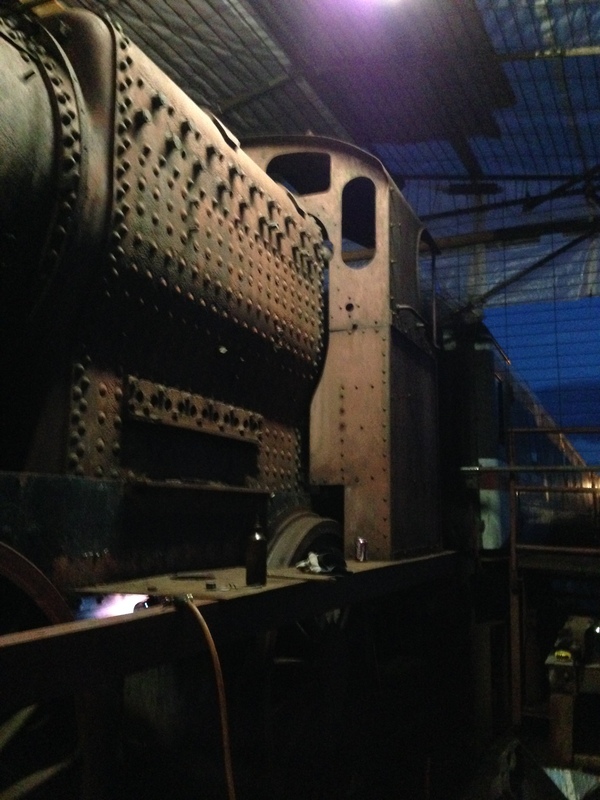 In addition, we made some further progress on the stripping of the loco – the first three sandboxes have been removed for repainting, along with various other minor items of platework and superstructure. 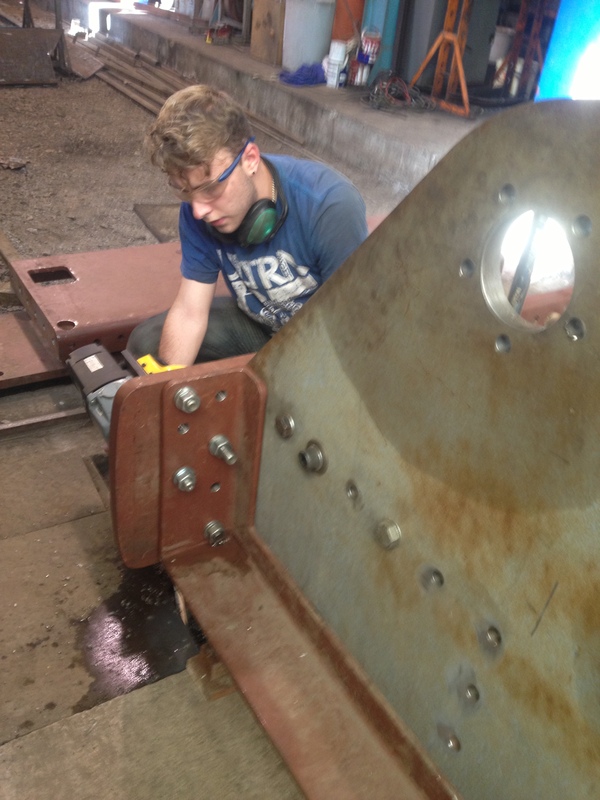 We were pleased to welcome another new volunteer to our team – Rudy – who made a valuable contribution to many things, including coutersinking numerous rivet holes in the tender frames. 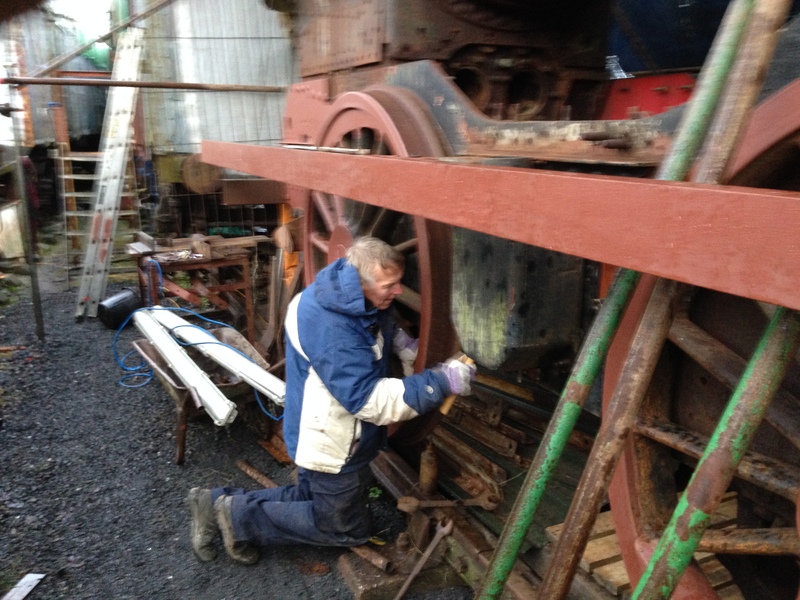 The dismanlting and cleaning of the cab steelwork is next. 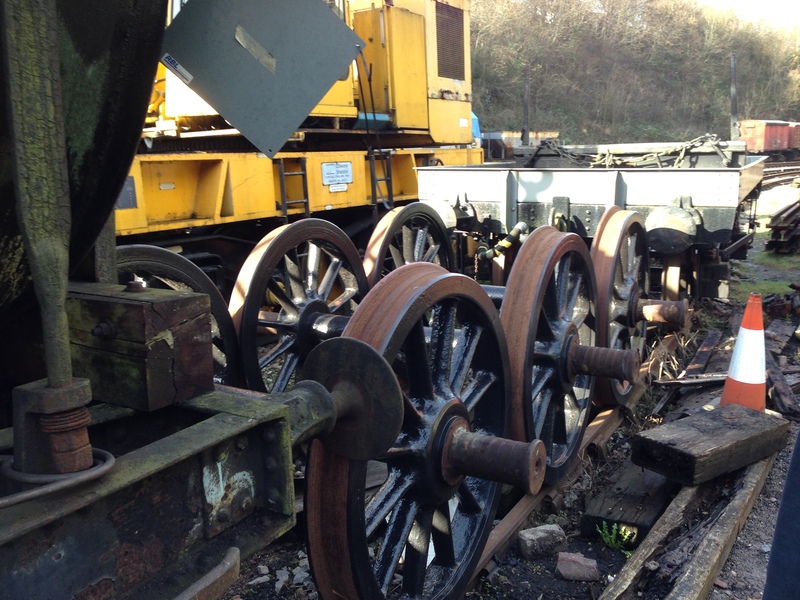 We had a ‘medium’ tidy up in our main stores van to give us a bit more room to store all the items which are being taken off the loco…. The van is almost full up, but not quite…! That’s all for now. More soon we hope. 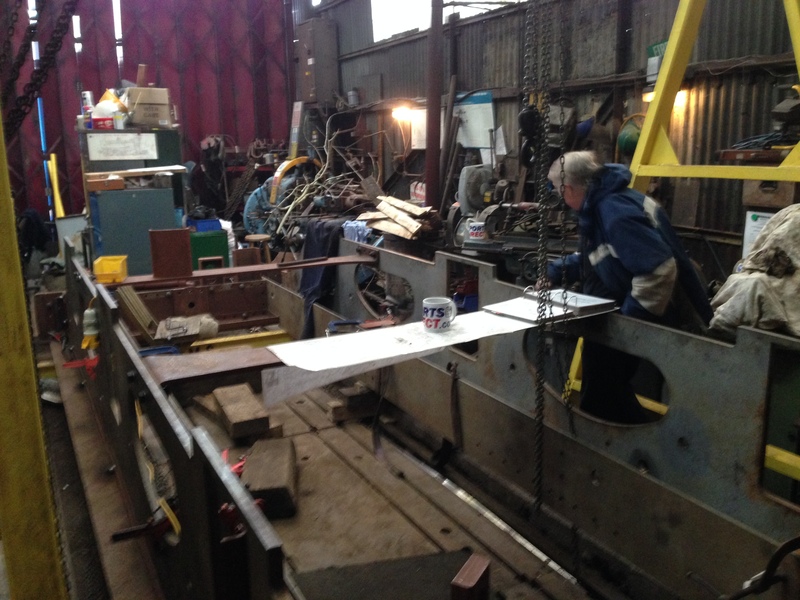 The big news so far this year is the commencement of the trial erection of the new tender frames. This is a culmination of a couple of years of effort at preparation, and is really the first tangible sign of significant progress with the build of the new tender. 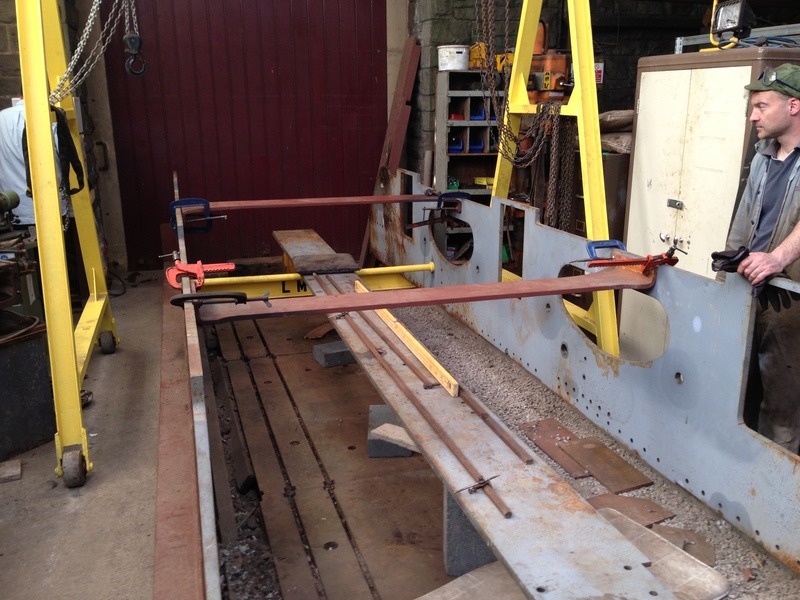 Before we could safely lift the frames into position, it was necessary to improve the floor in our workshop to allow the use of a gantry crane. We thus had to cast two concrete strips suitable for the crane wheels, and this can be seen in the picture above. Some means of non manual lifting was going to be essential for the erection of the frames – each main frame plate weights 800kg, which is obviously vastly beyond what can be safely lifted by hand and muscle power alone. We are constructing the frames upside down, as this allows easier access for trial assembly and drilling. The frames are temporarily sitting on two cross beams (seen in yellow) which have been levelled in both planes, as it is essential that the frames are constructed ‘true’ and square. 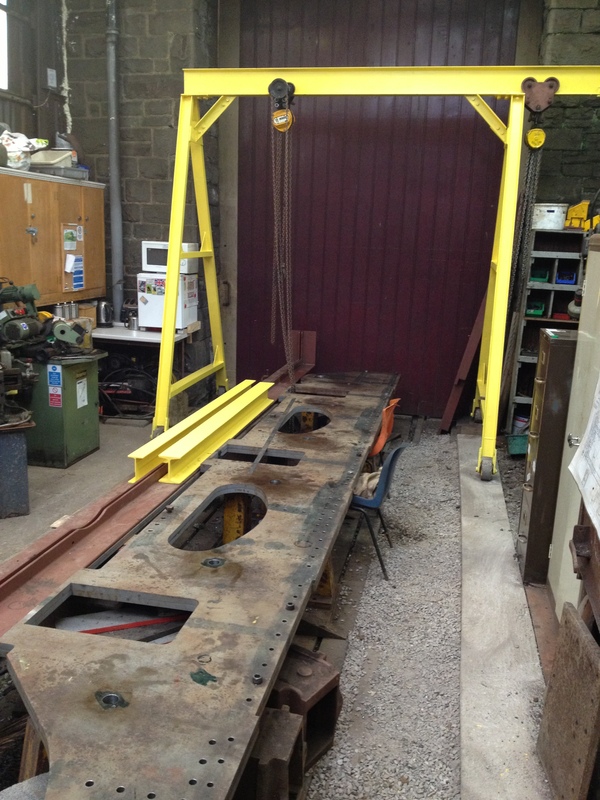 The frames were set to the correct ‘back to back’ dimension by installation of the lower cross-stretchers (the red items which are clamped in) and by the use of two purpose machined temporary spacers (the yellow tubes). Once this was done, the correct relative position of the frames was checked by ‘tramelling’ the diagonal dimensions between the centres of the axles, and moving one of the frames forwards or backwards to correct any error. This took some time to do, as multiple measurements and a certain amount of trigonometry was required. Once the frames were correctly set – the cross stretchers were drilled and fitted with tap fit bolts – thus ensuring that the relative position remained fixed during all subsequent operations. After this the front dragbox and buffer beam were installed and similarly drilled. Following this, we then proceeded to install and drill the angles which run for the full length of the frames, followed by the rear dragbox and bufferbeam. All this work has to be carried out very accurately to ensure that everything is correctly located. Even the smallest errors could result in problems later on, so we are taking our time, and measuring once/twice/three times before drilling…! The frames will be fully riveted construction, and thus there are many hundreds of holes to be drilled… Anybody who makes the mistake of walking into our workshop is likely to get collared for drilling a few holes…!